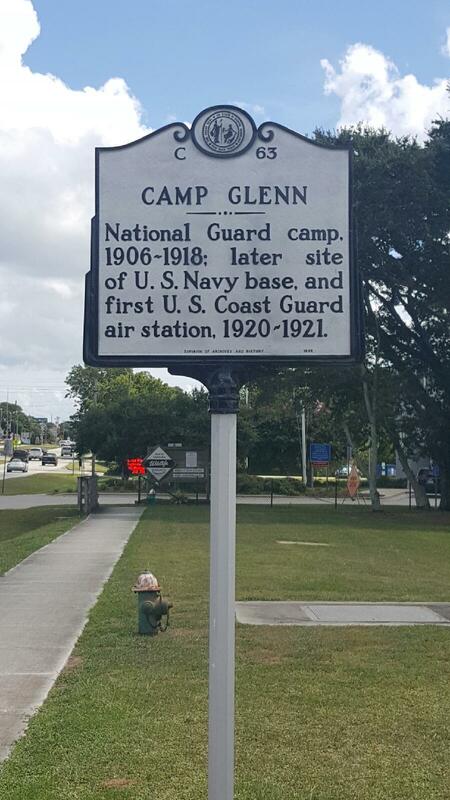 National Guard camp, 1906-1918; later site of U.S. Navy base, and first U.S. Coast Guard air station, 1920-1921. When the Wright brothers conducted their experiments at Kitty Hawk in 1903, surfmen serving at the Kill Devil Hills Life Saving Station helped the two inventors by hauling supplies, delivering mail, and photographing their first flight. Further down the North Carolina coast, another chapter in Coast Guard and aviation history was written seventeen years later. The scene was a sand bluff overlooking Bogue Sound, just west of Morehead City, the site of Carolina City. In 1905 the state acquired the tract for use by the National Guard. 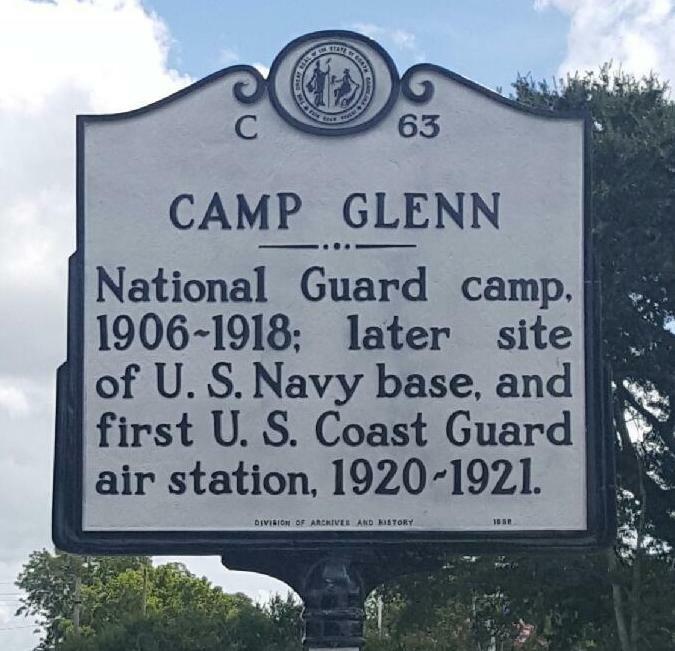 An installation was built and in 1906 it was named Camp Glenn for former Gov. Robert Broadnax Glenn (1905-1909). During World War I, the camp was converted into a naval refueling base. Barracks, sewers, etc. were built to accommodate 400-500 men.